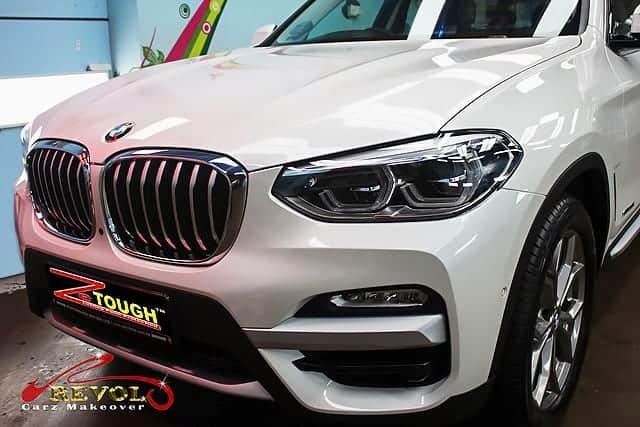 A handsome, muscled BMW X3 XDrive30i shows up at Revol Carz Makeover studio for a special grooming session that comes with the must-have, ZeTough Ceramic Paint Protection Coating. 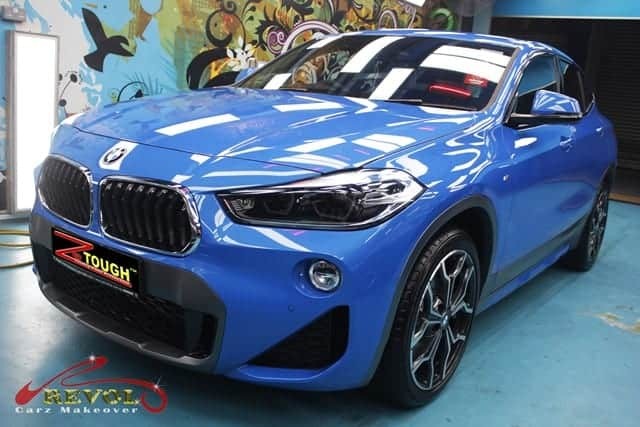 The sole petrol variant, the X3 XDrive30i features a gutsy 185kW/350Nm 2.0-liter; four-cylinder engine paired to an eight-speed automatic transmission and all-wheel drive. 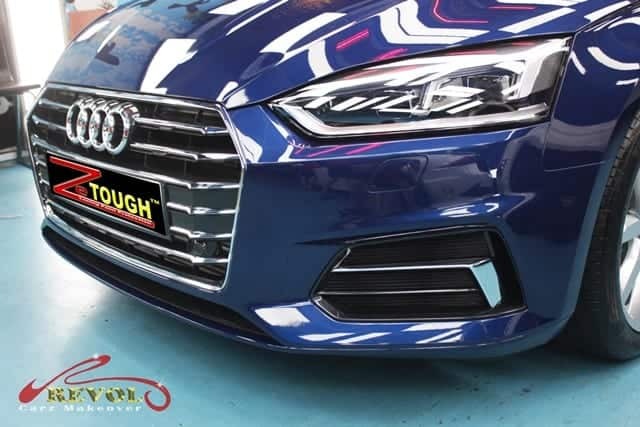 Standard exterior features include 18” x 7” Y-Spoke alloy wheels with paint accents; LED headlights, roof rails, power tail-gate, rear-view camera and electric folding auto-dimming and heated exterior mirrors. 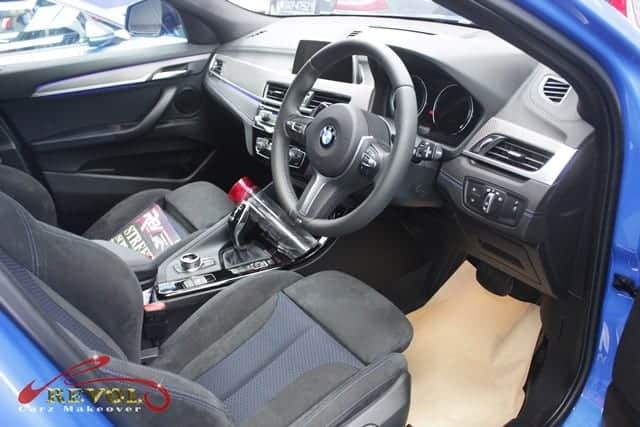 Inside the X3 is generously wide and feels airy. 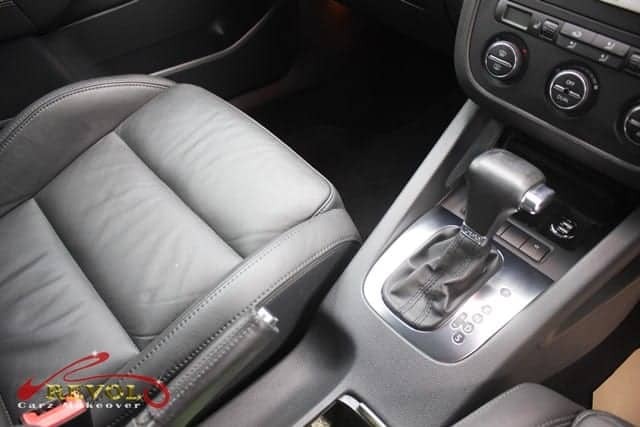 Nice soft leather, grained plastics and tasteful wood trim create a comfy atmosphere. 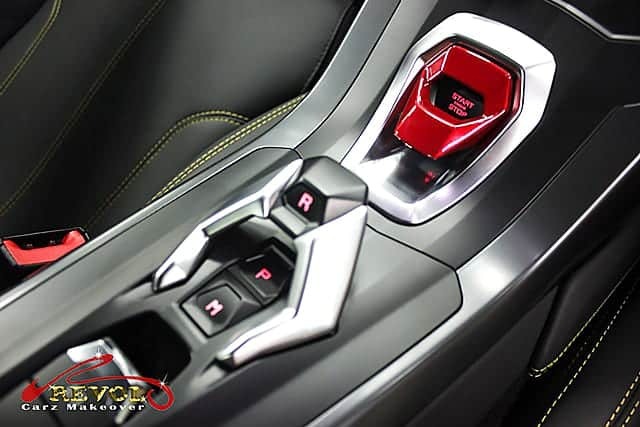 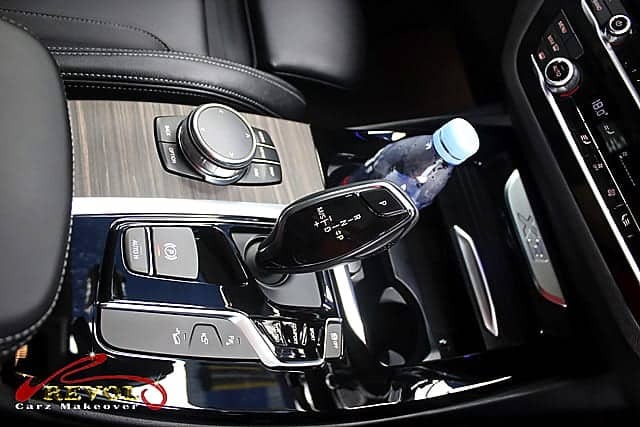 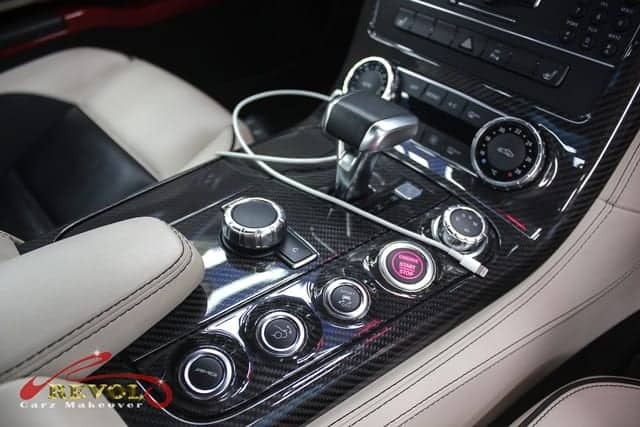 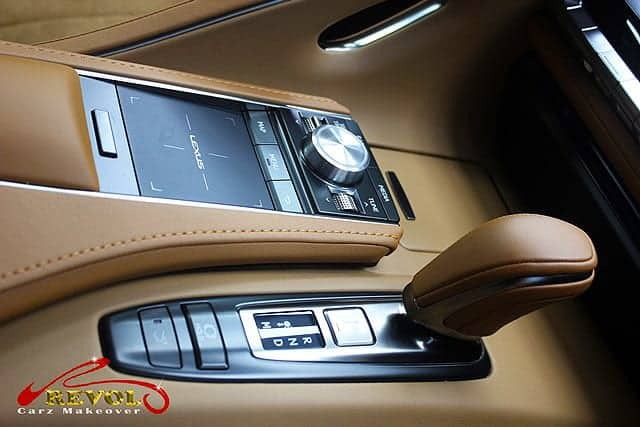 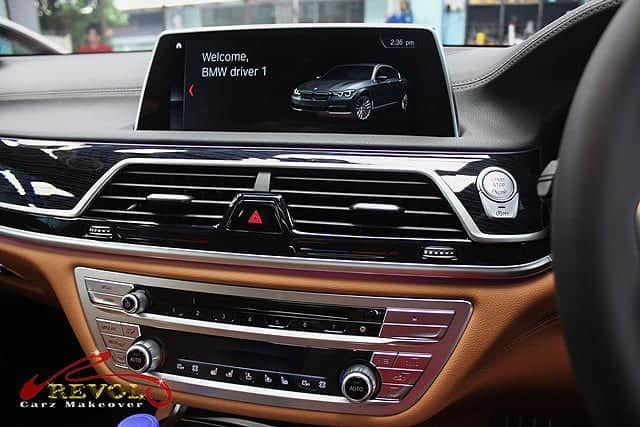 You’ll find plenty of features such as an auto-dimming rear-view mirror, tilt-and-telescopic steering wheel with wheel-mounted shift paddles, keyless ignition, adjustable driving modes, a 6.5-inch central display, BMW’s iDrive Infotainment interface, USB port and a premium 12-speaker audio system. 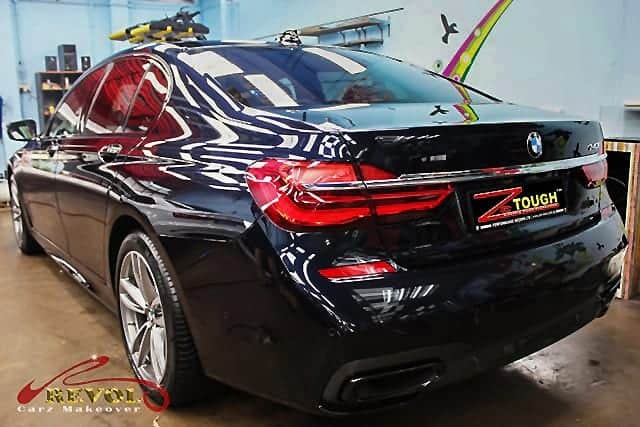 Join us on a virtual tour of our car-grooming workshop and be amazed by our transformation of the BMW X3 from the exterior to the interior. 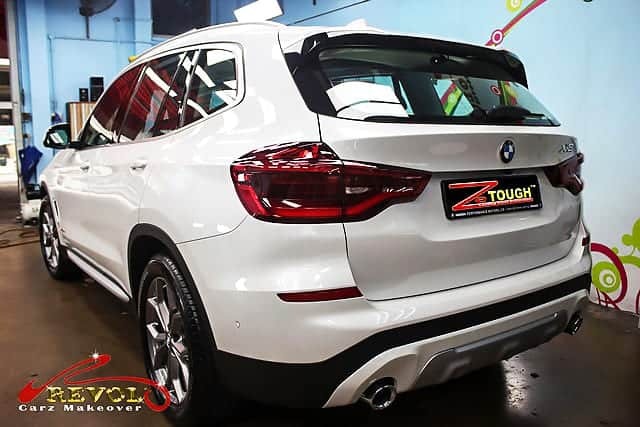 Revol Carz Makeover proudly presents the 2018 BMW X3 in stunning showroom shine with long-lasting, ZeTough Ceramic Paint Protection Coating. 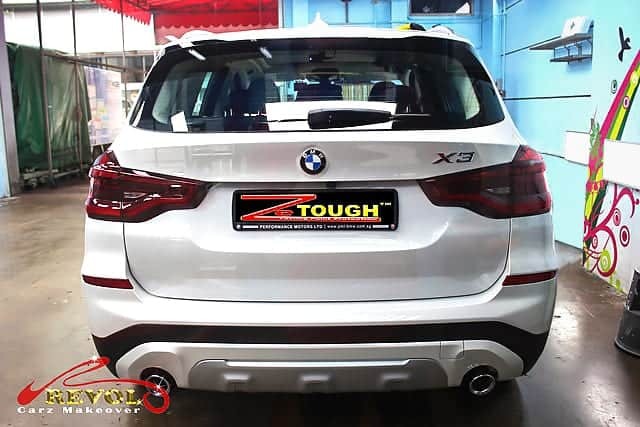 The unmistaken BMW X3 iconic BMW kidney grille and badge. 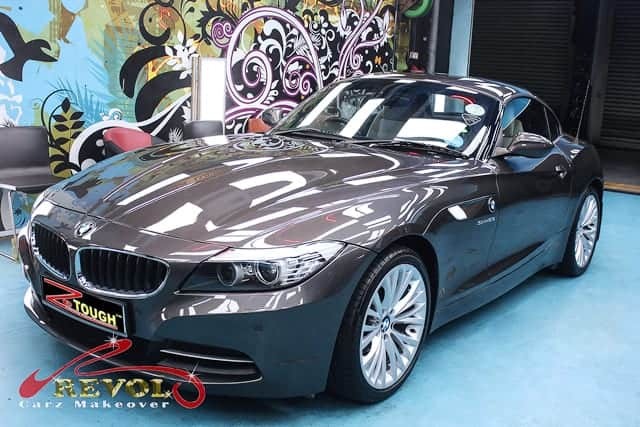 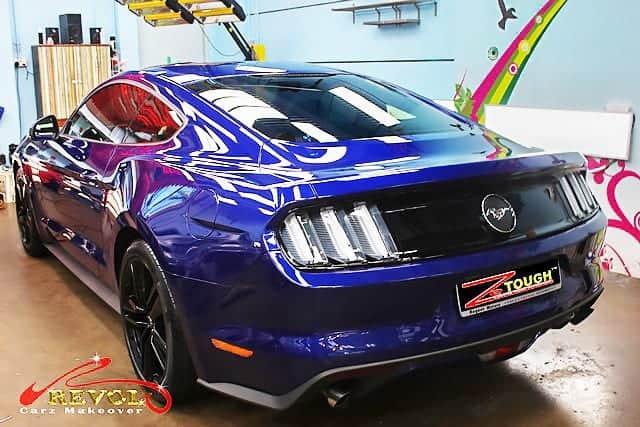 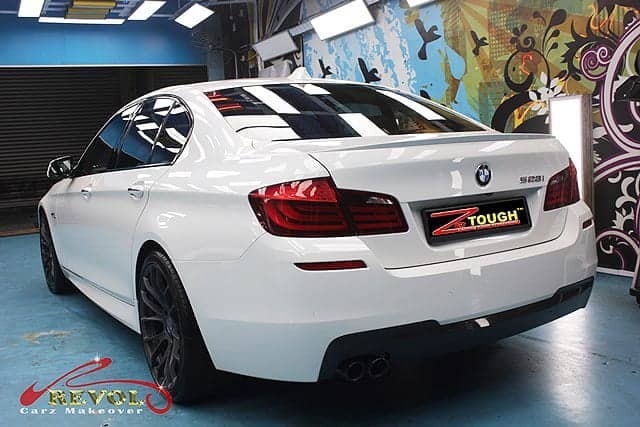 Thanks to ZeTough Ceramic Paint Protection Coating that exudes the breathtaking shine. 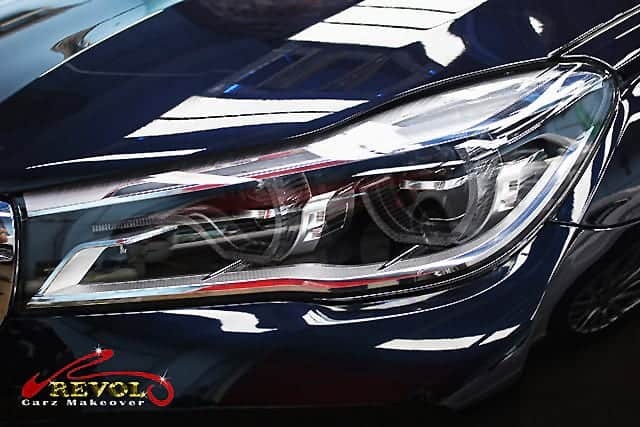 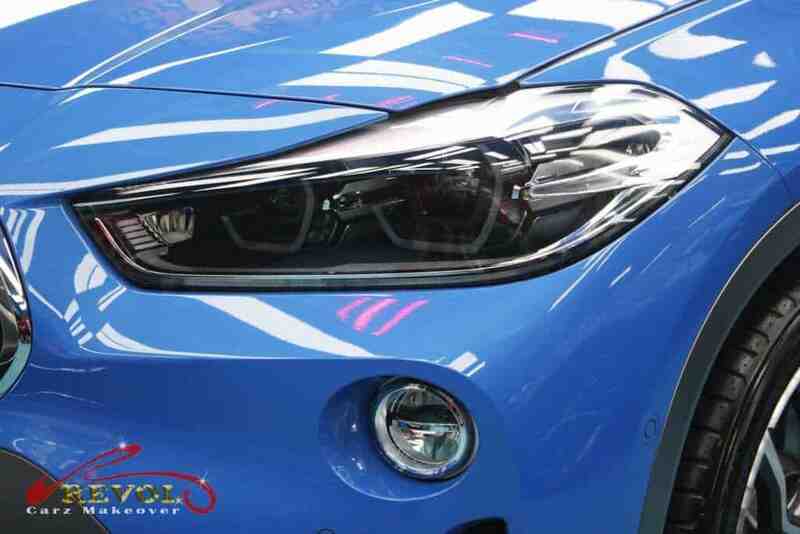 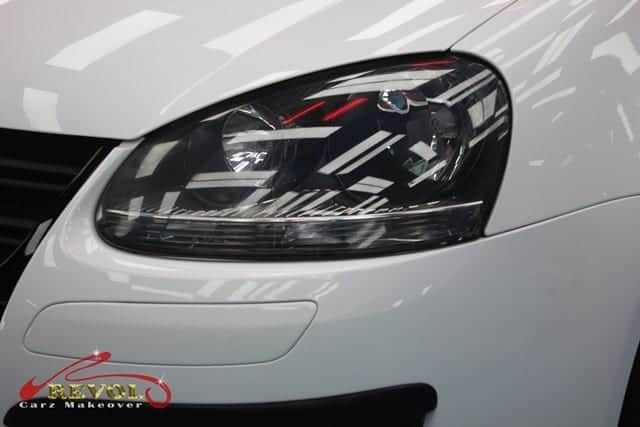 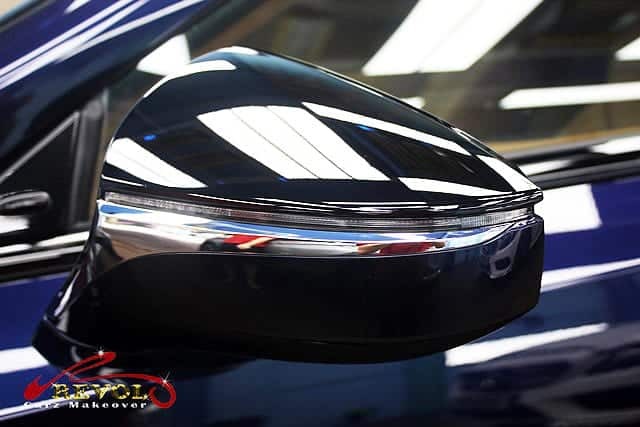 Skilled manual polishing by our passionate detailers results in crystal clear and bright headlights. 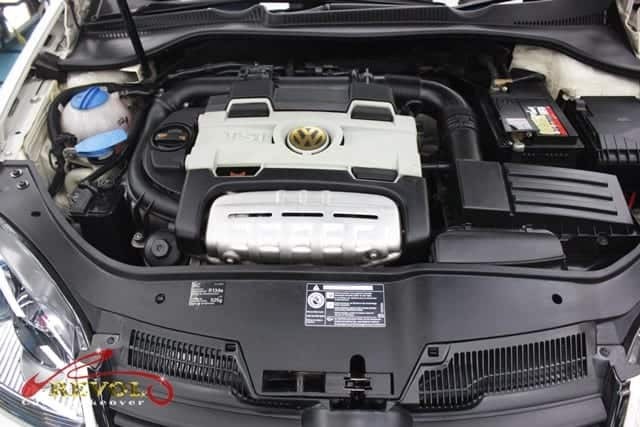 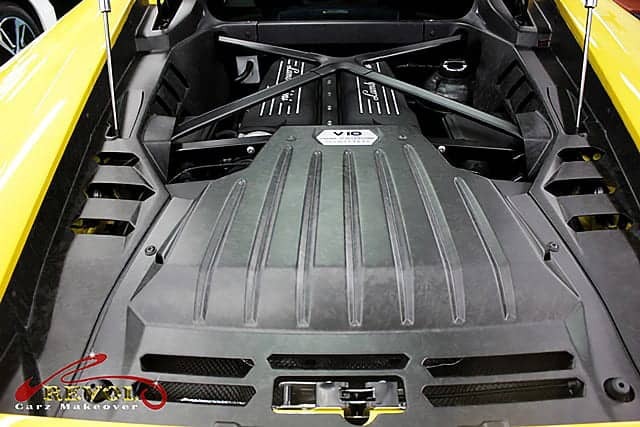 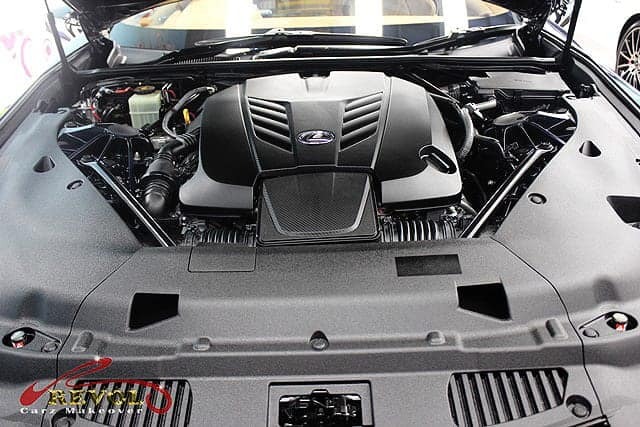 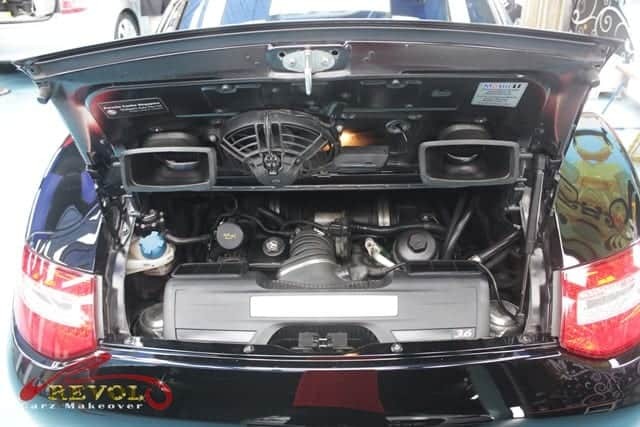 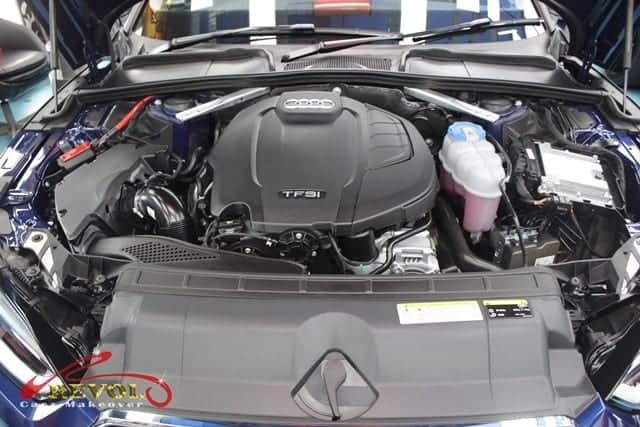 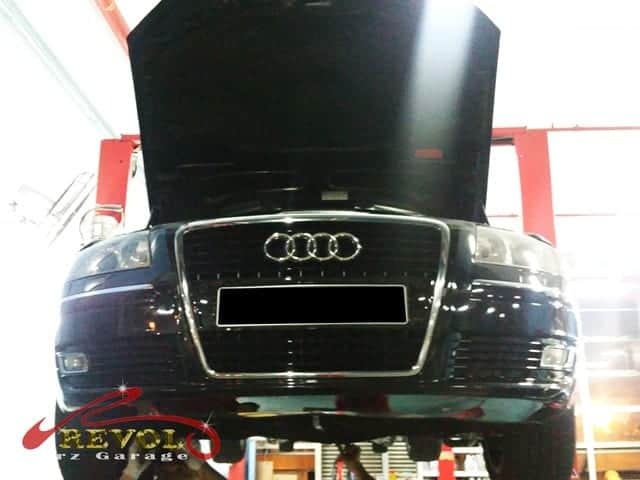 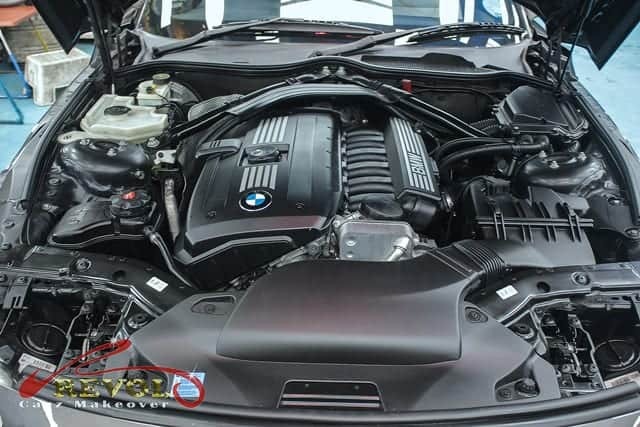 Pop the bonnet and be amazed by an ultra-clean turbo engine bay perfected by our team of professional detailers at Revol Carz Makeover. 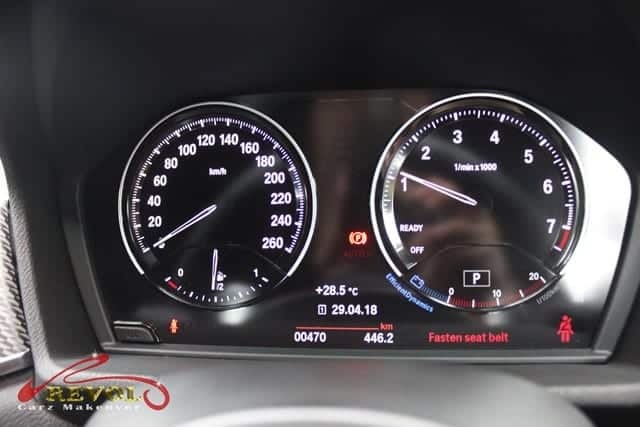 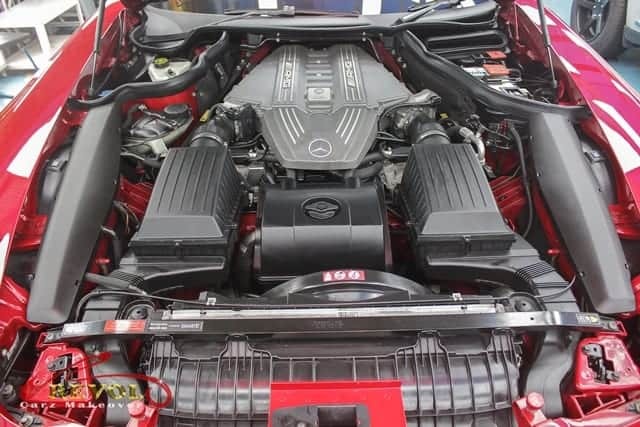 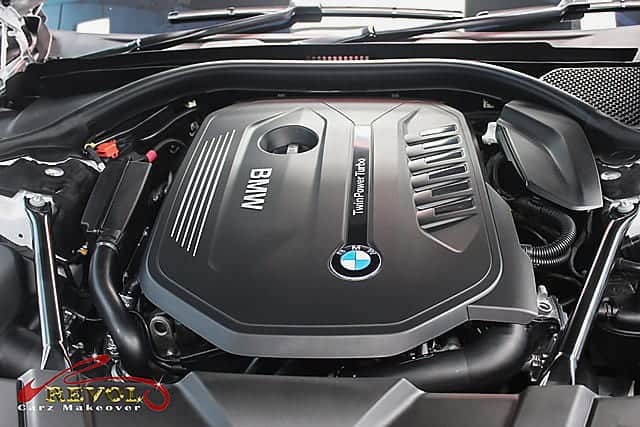 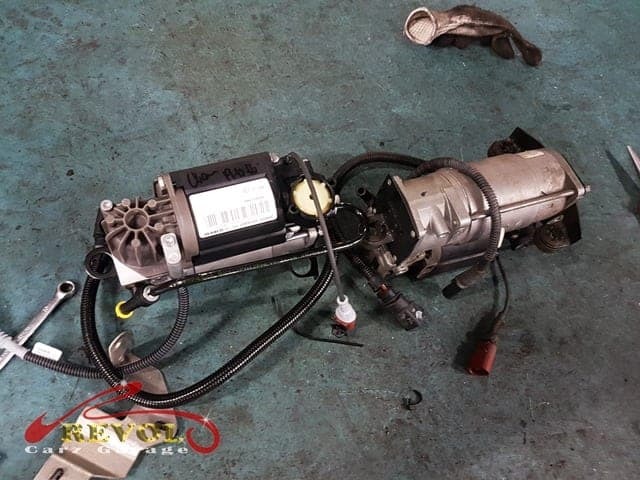 Despite the name xDrive30i, the car gets a 2.0-litre four-cylinder turbocharged petrol engine making 248 horsepower and 258 pound-feet of torque. 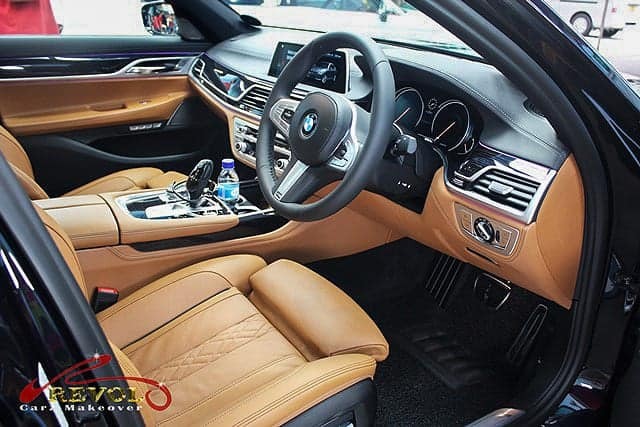 Inside the X3, the super-clean interior met the challenge for our detailing gurus. 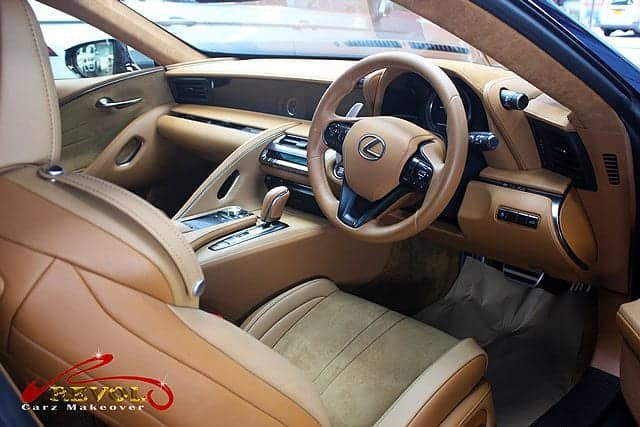 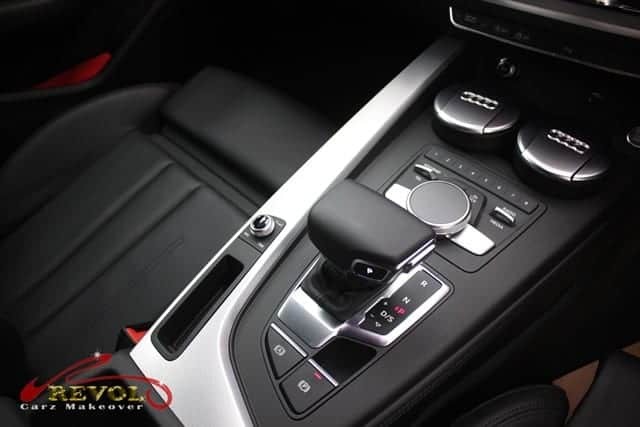 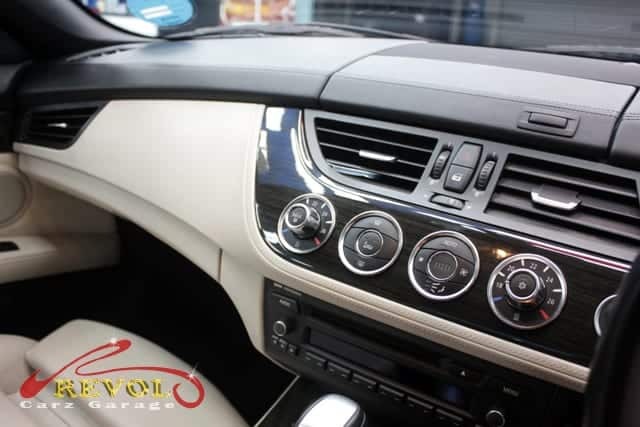 The nicely grained plastics, tasteful wood trims and soft leather are revived to pristine showroom standards. 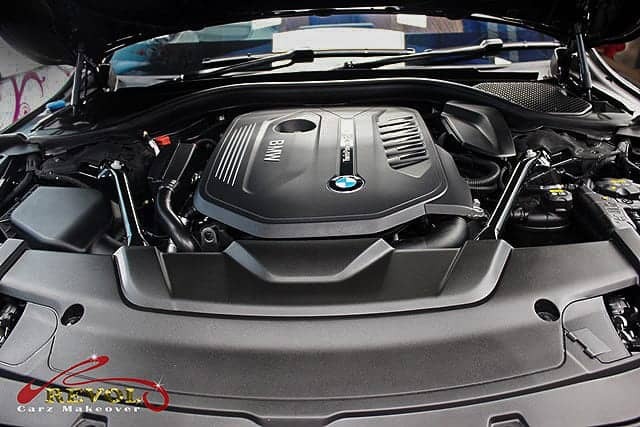 The BMW X3 feels generously wide, fresh and clean. 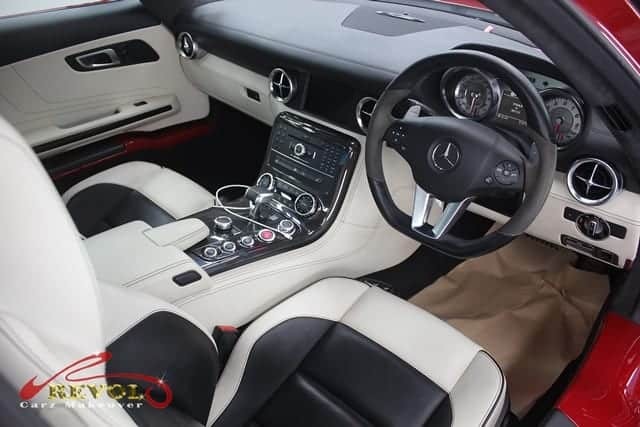 The driver and front passenger share a deep centre console bin between them. 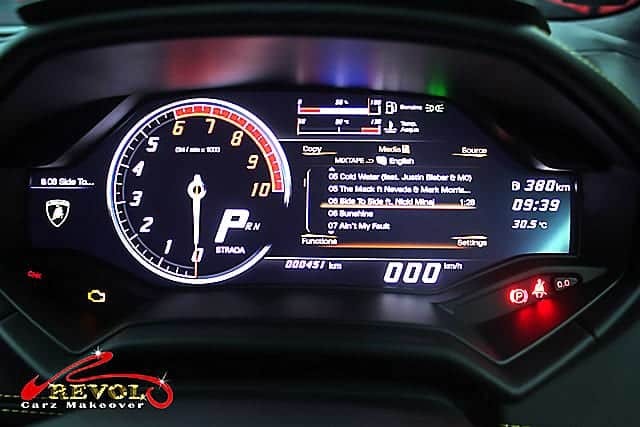 The digital dashboard feels utterly modern and alluring after careful detailing. 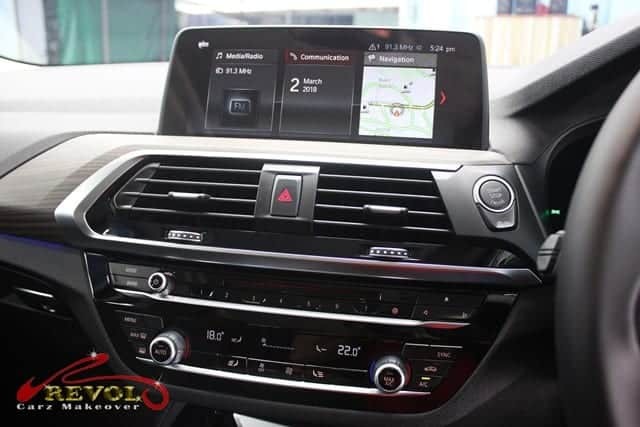 BMW X3’s new instrument cluster design looks slicker after detailing. 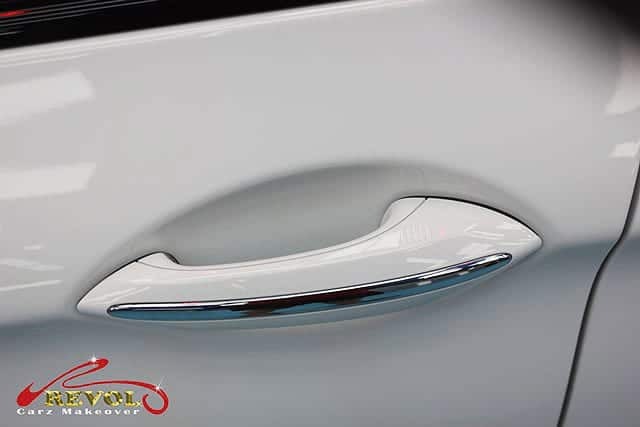 Open the heavy doors and the X3 delights you with a few added touches including embossed aluminum “X3” inserts on the door skirting. 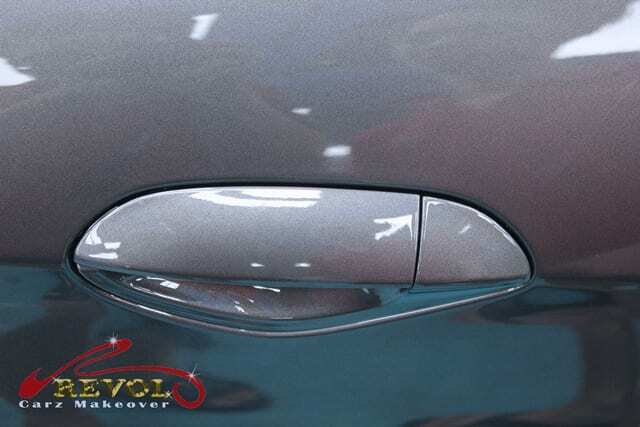 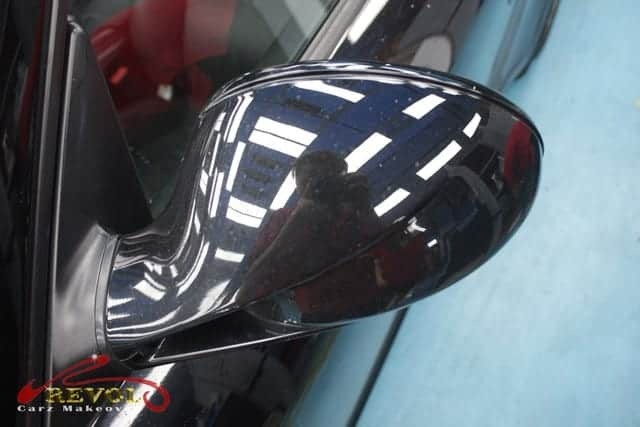 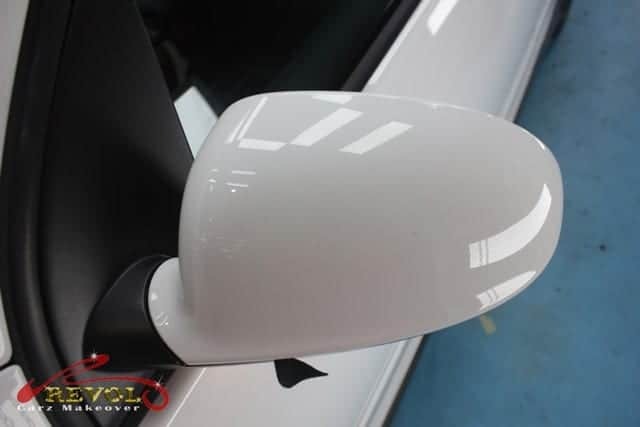 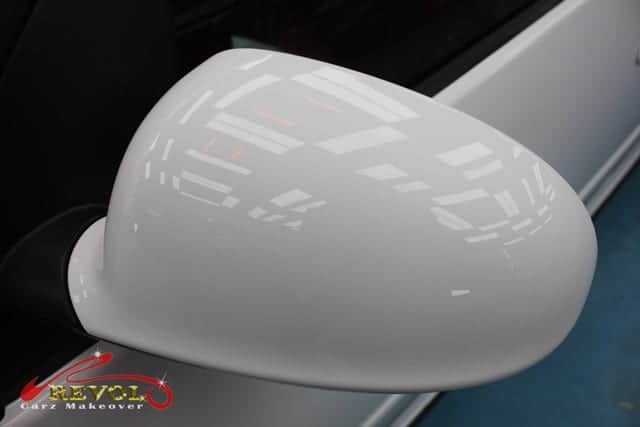 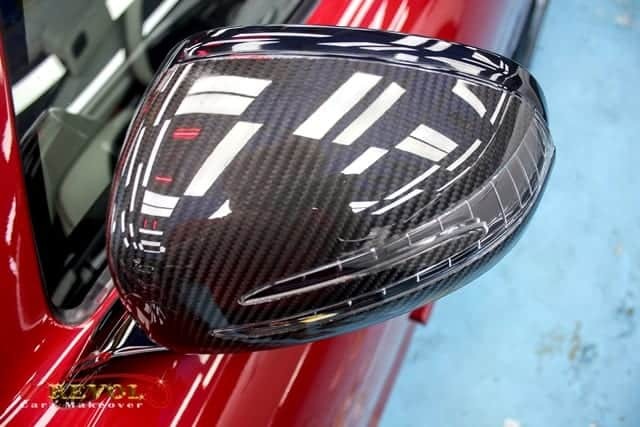 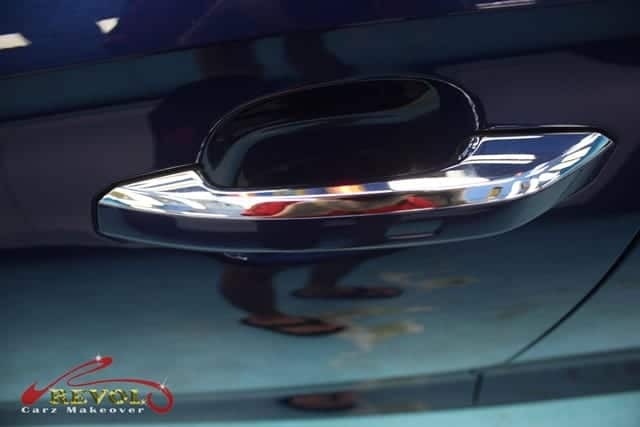 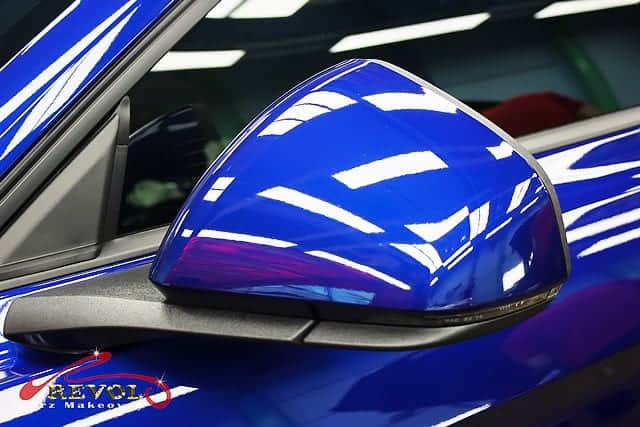 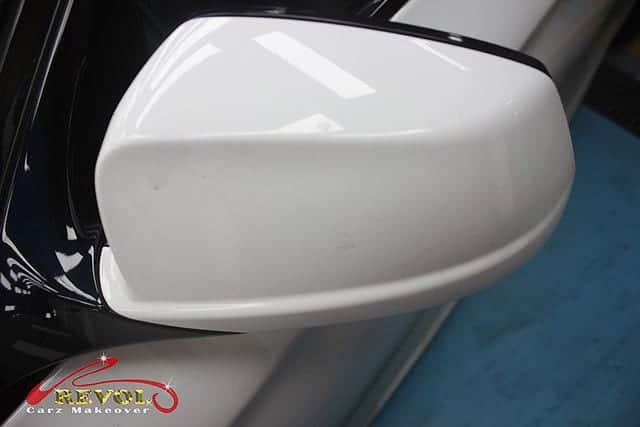 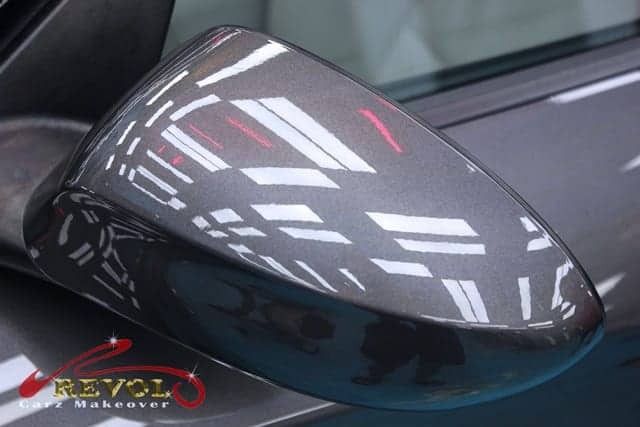 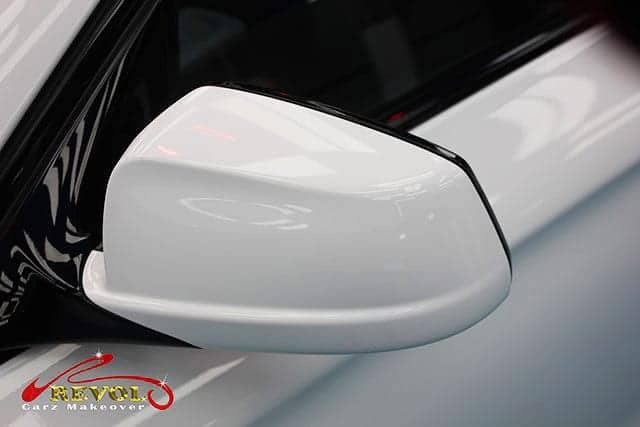 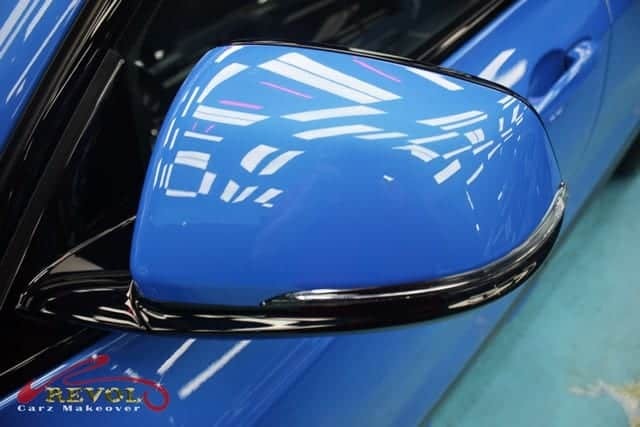 The breathtaking gloss on the body-colored power heated auto-dimming side mirrors after ZeTough Ceramic Paint Protection Coating is fully cured. 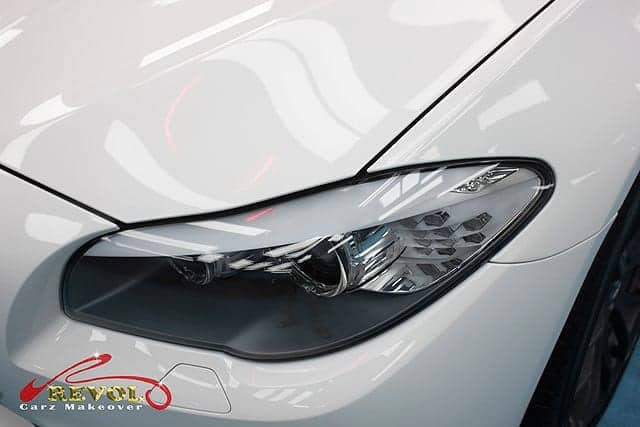 Gazed the X3 from any perspective and it is easy to see the long-lasting, ZeTough Ceramic Paint Protection Coating bringing the incredible shine to the car. 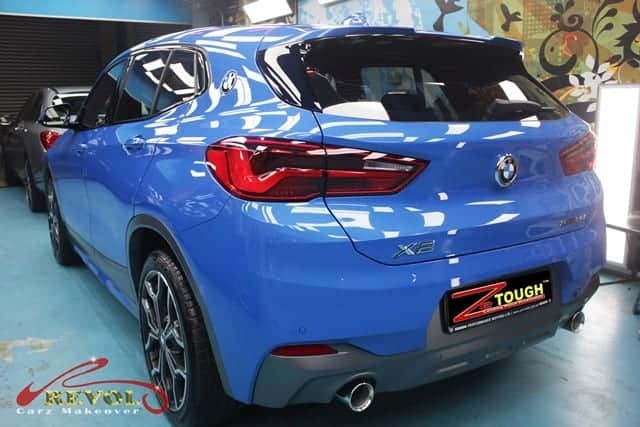 Around the back, the X3 is fitted with a smart electric tailgate with body-colored rear bumper with black Rub Strip/Facia Accent and metal-look bumper insert, as standard. 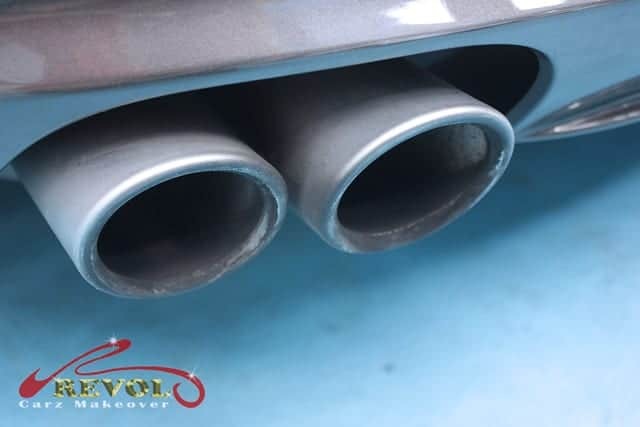 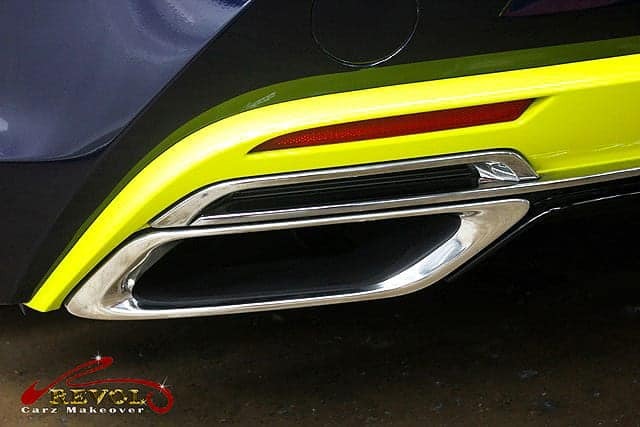 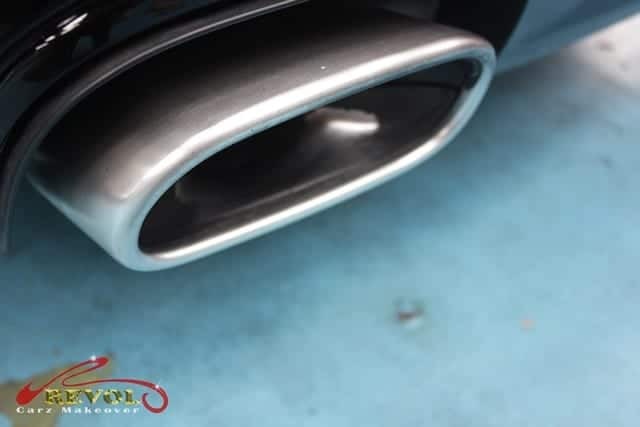 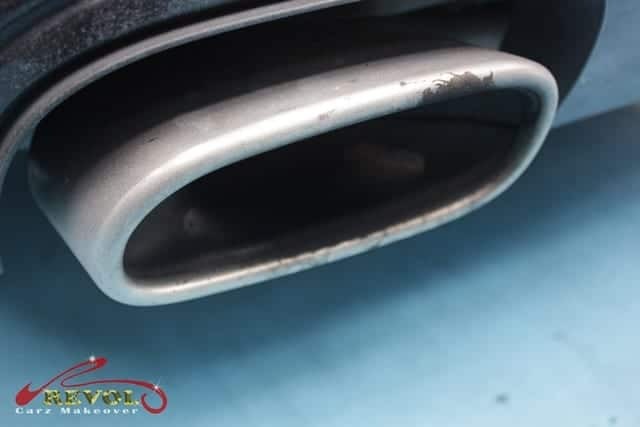 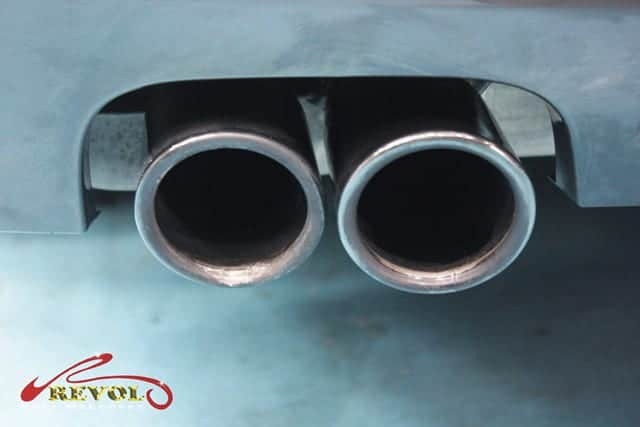 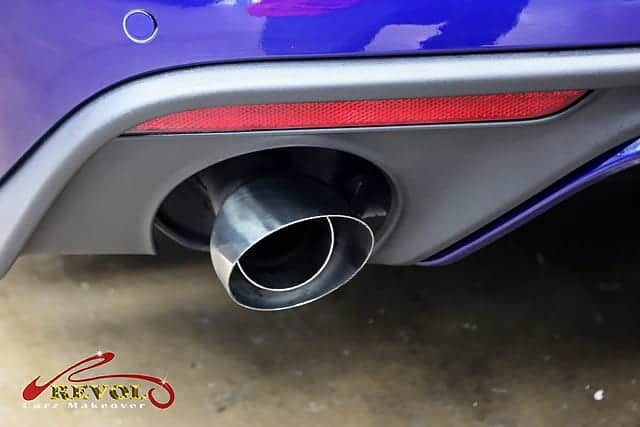 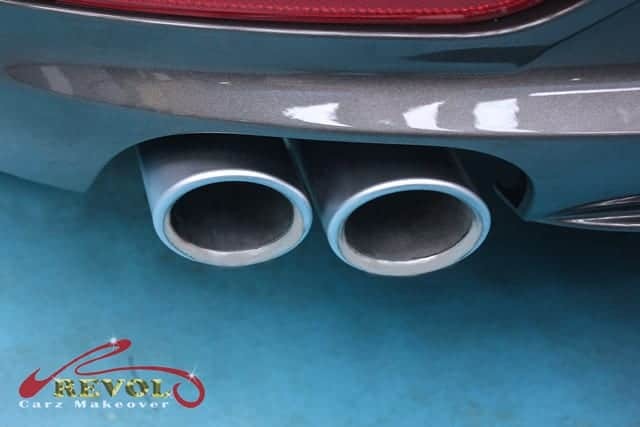 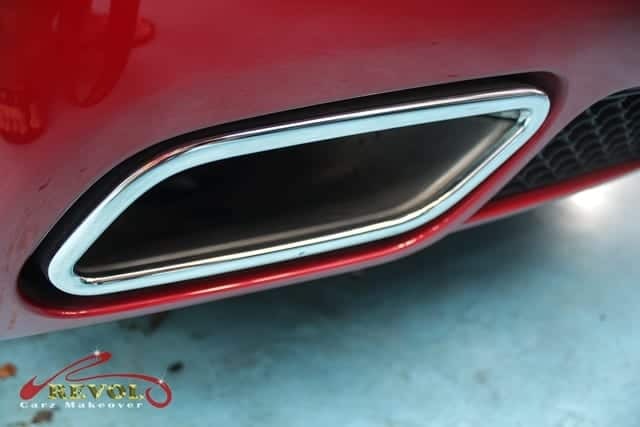 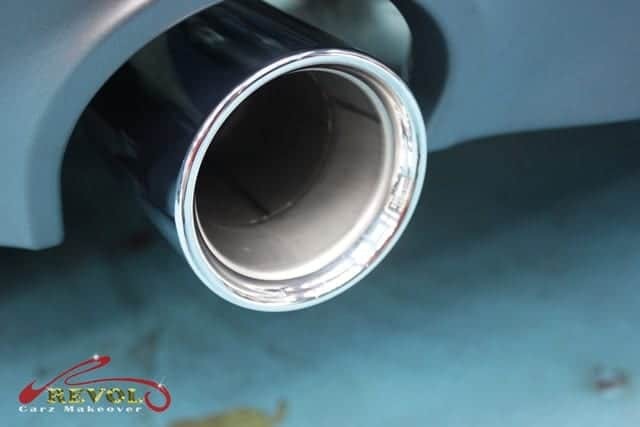 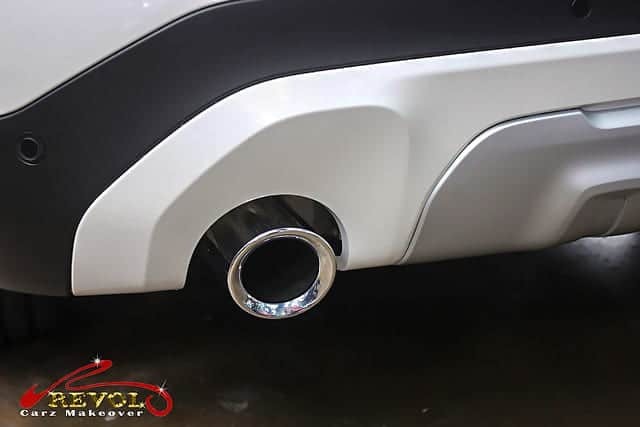 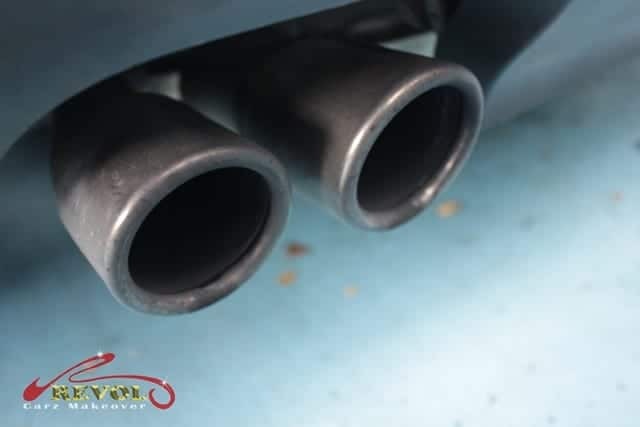 Twin stainless steel exhausts with chrome tail-pipe finishers – cleaned and polished like brand-new again. 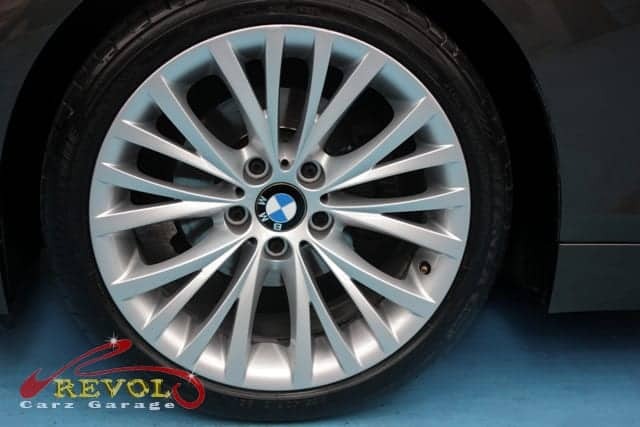 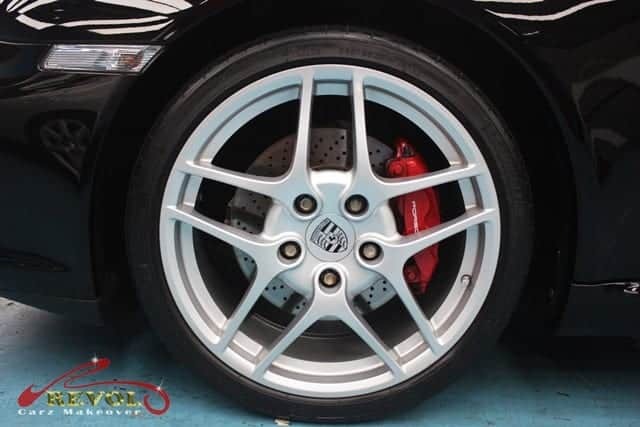 After the restoration by Revol’s team, the look says a lot about the 18-inch Y-Spoke special alloy wheels. 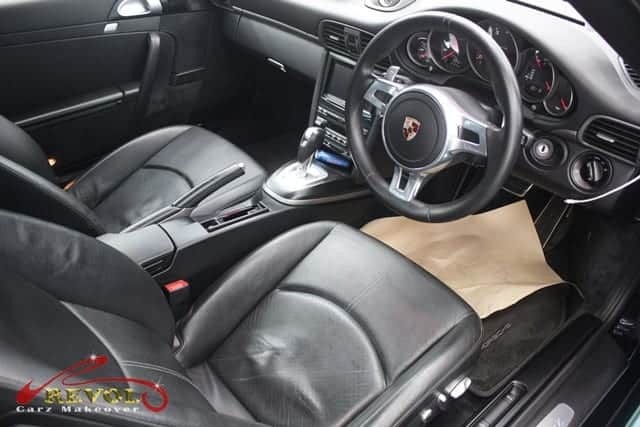 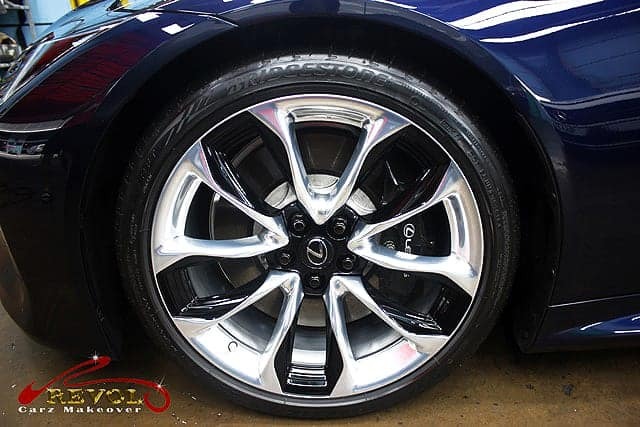 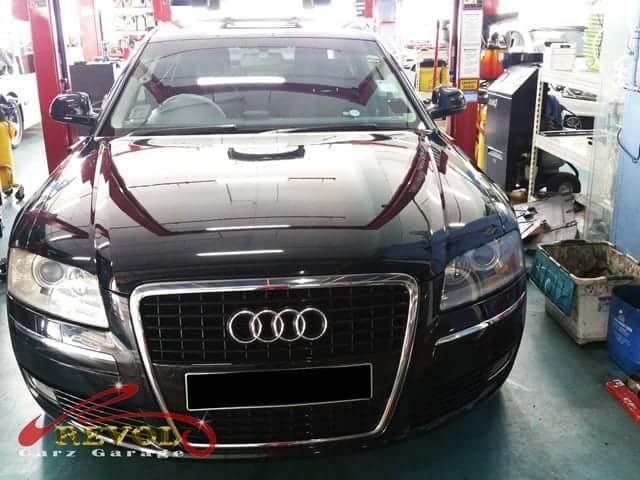 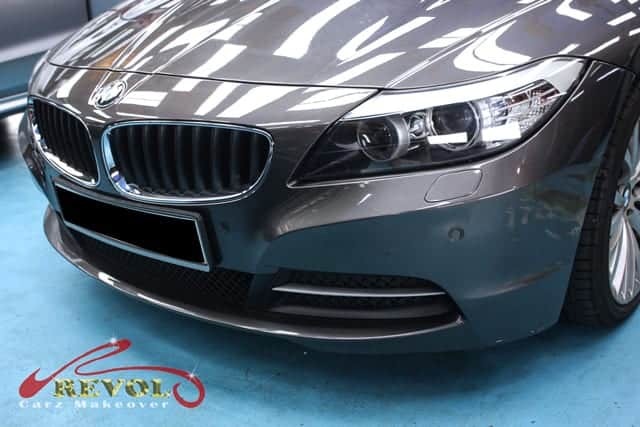 Detailing with a passion and belief in the process that we may see the satisfaction smile of our customers inspires us to continue to strive and raise our standards to a higher level. 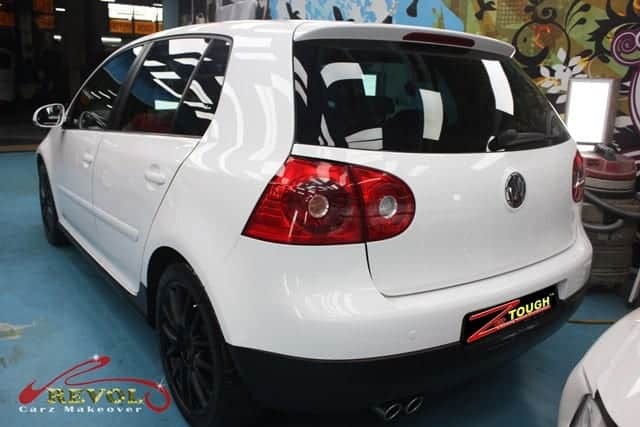 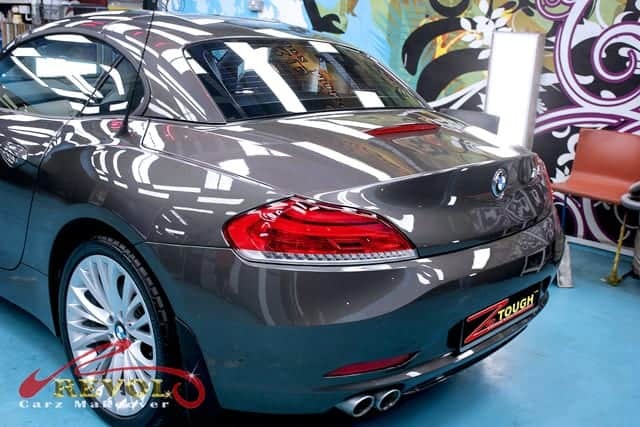 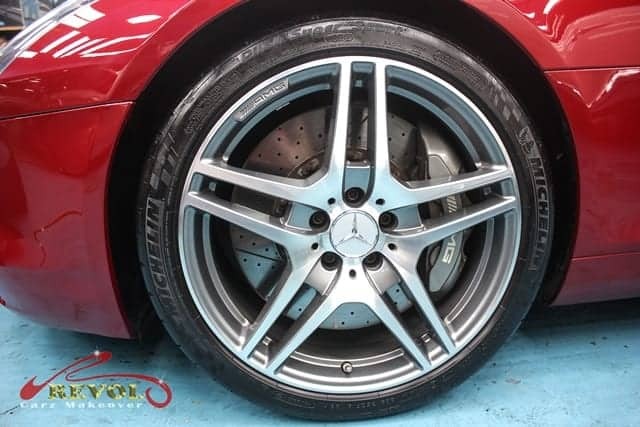 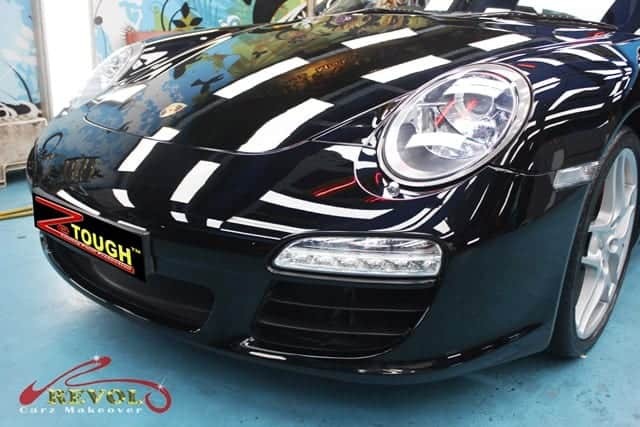 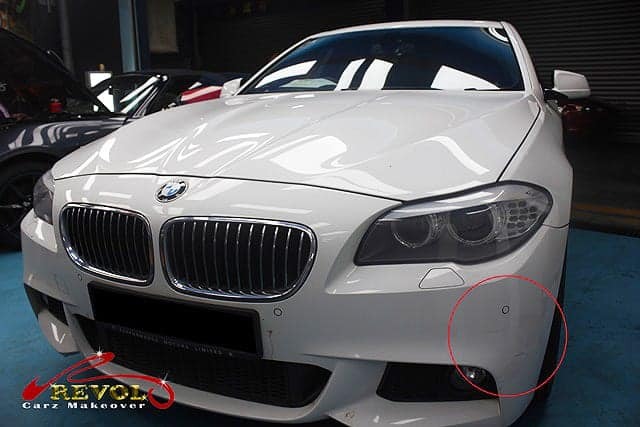 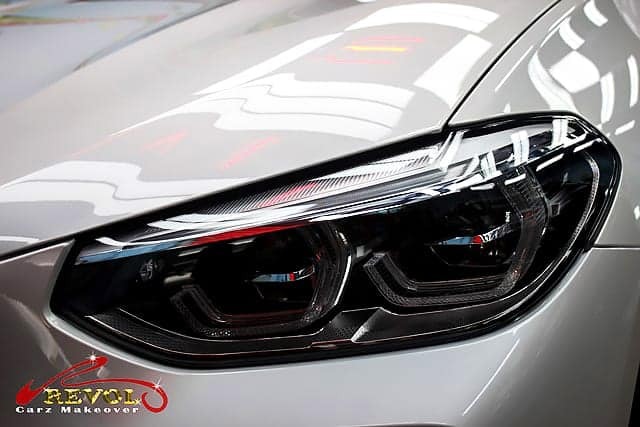 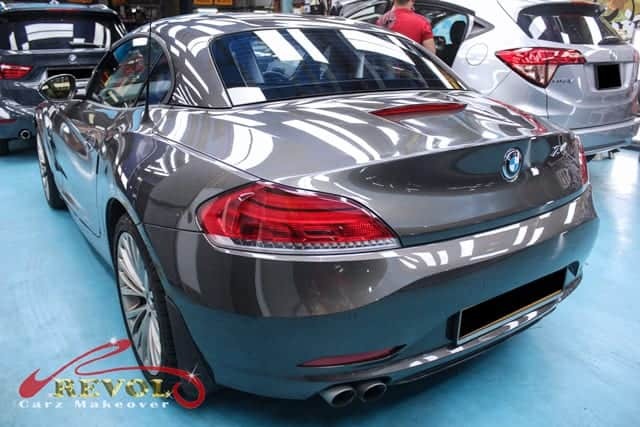 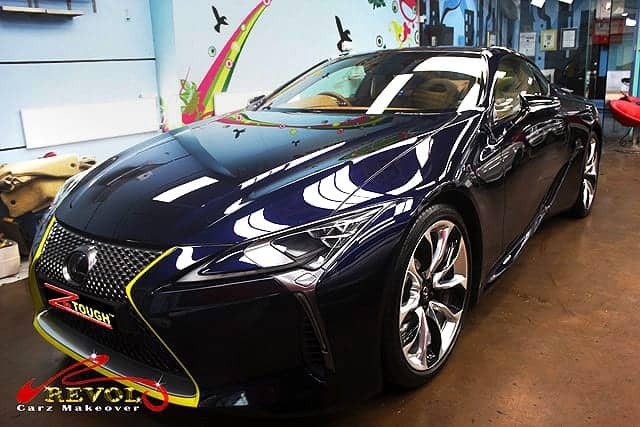 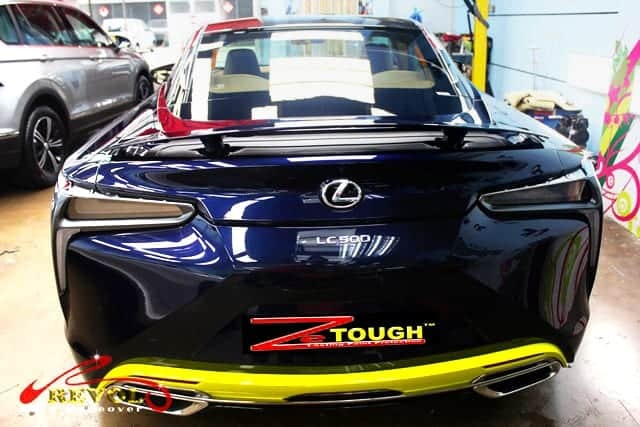 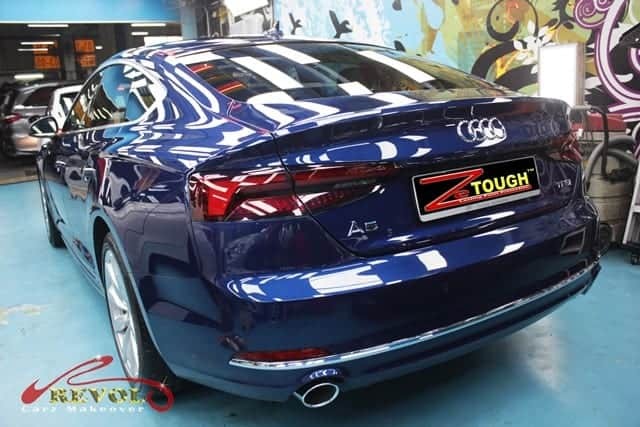 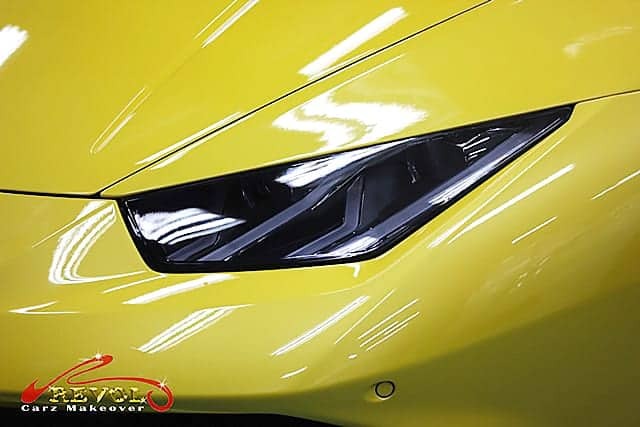 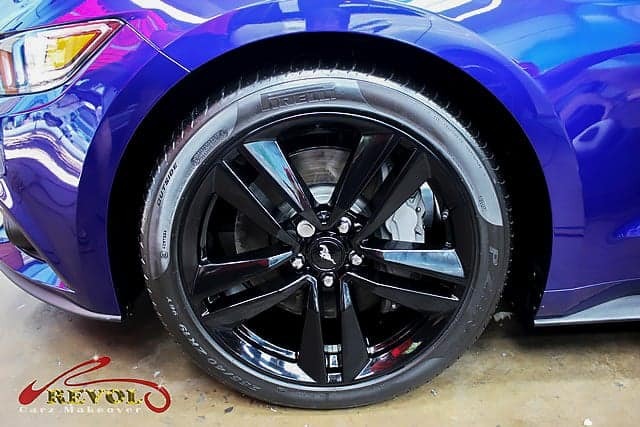 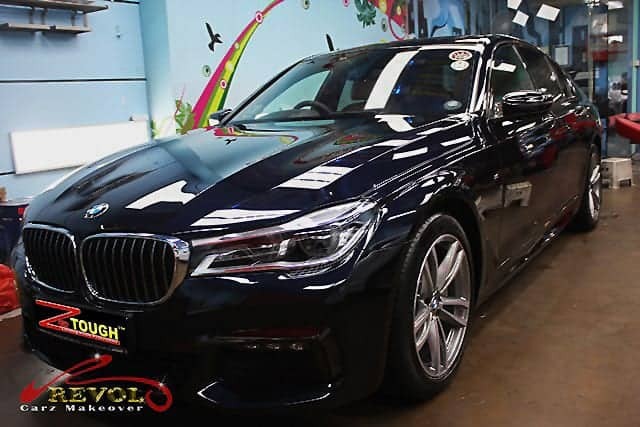 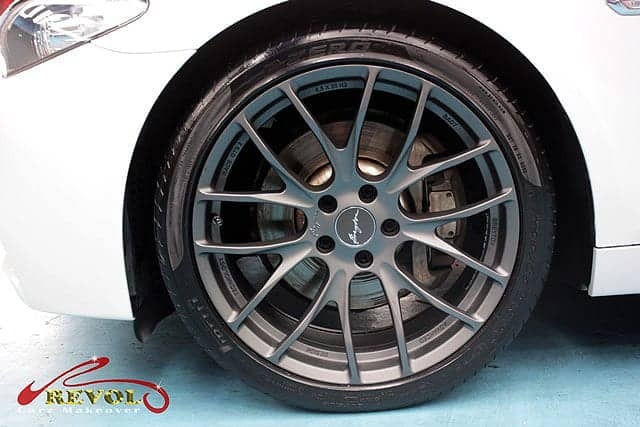 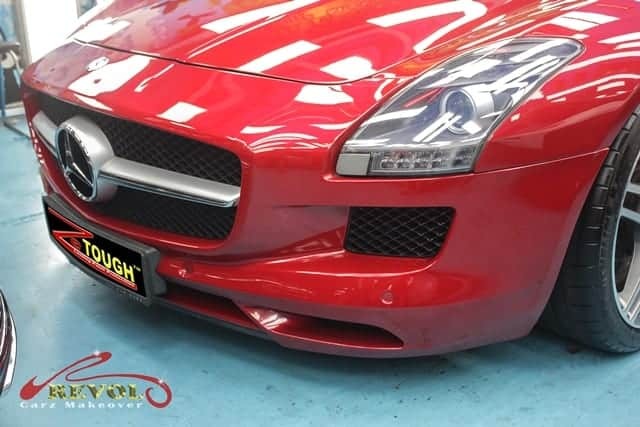 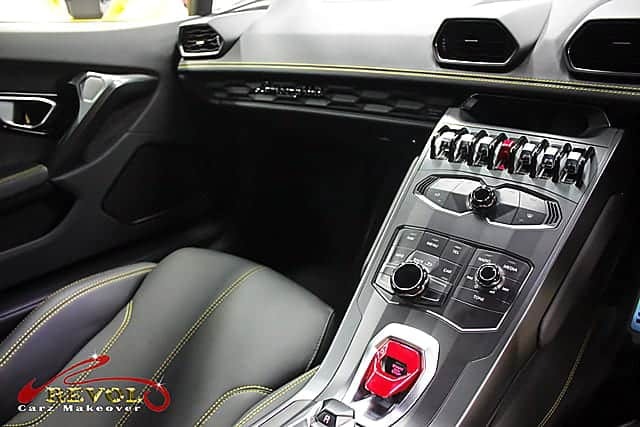 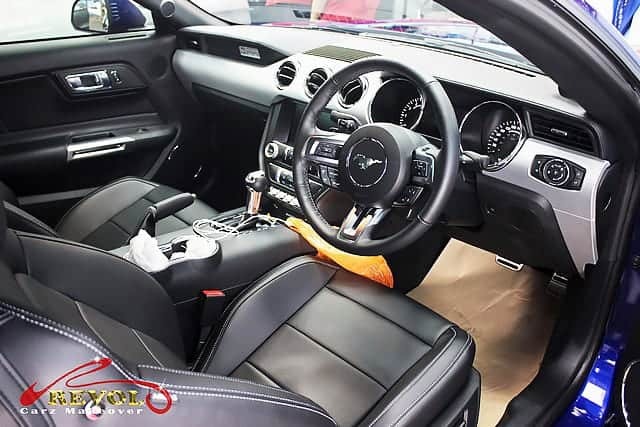 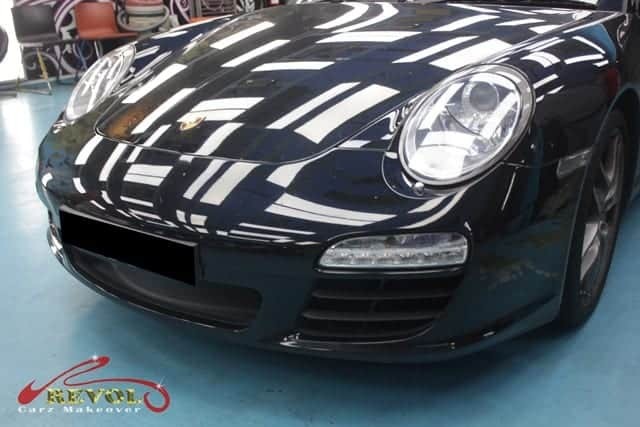 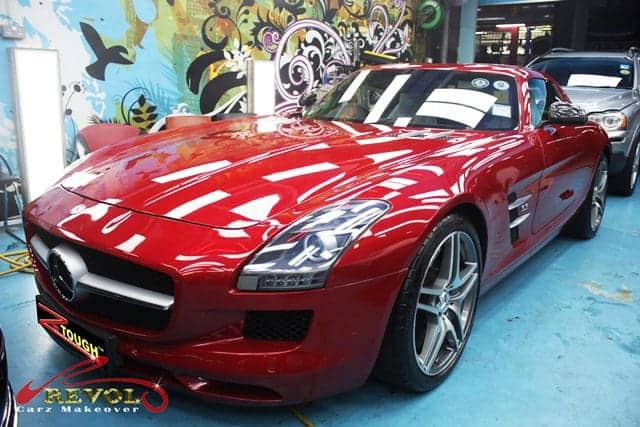 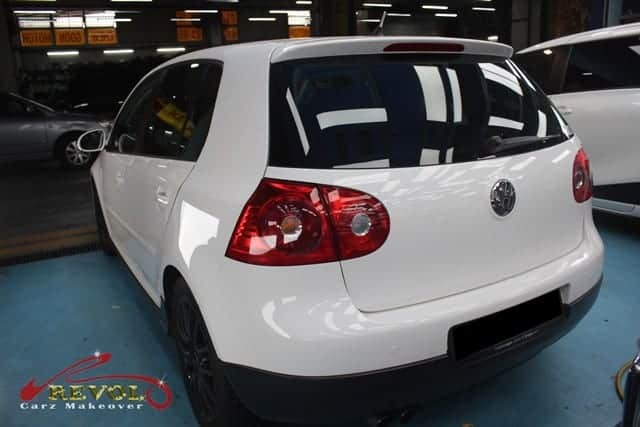 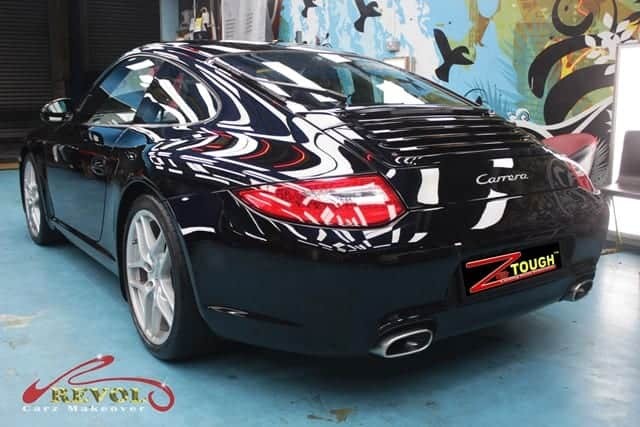 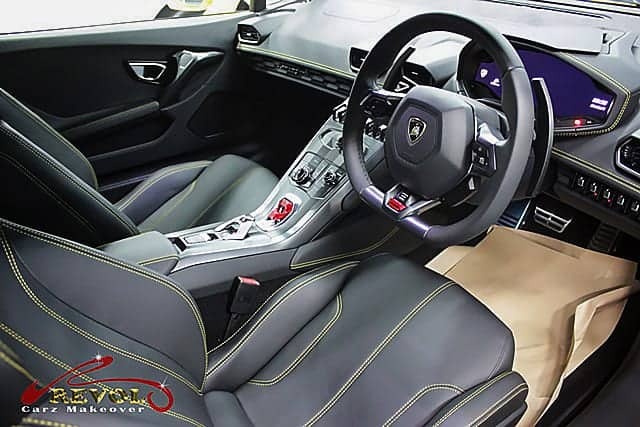 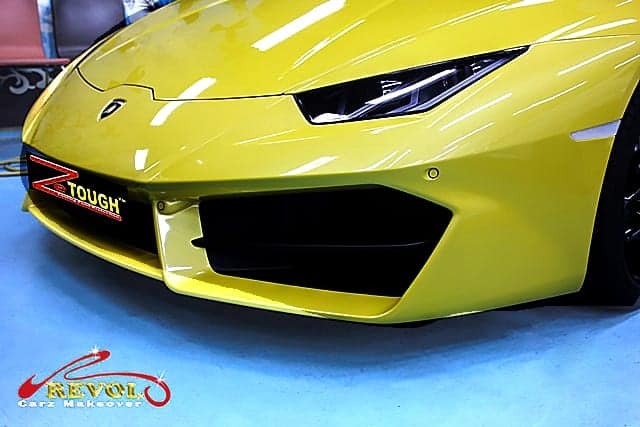 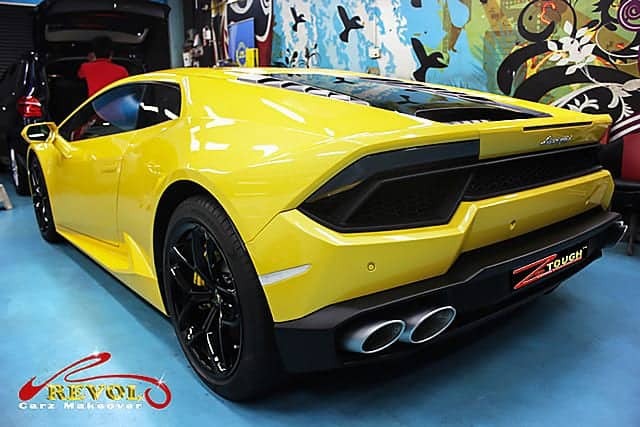 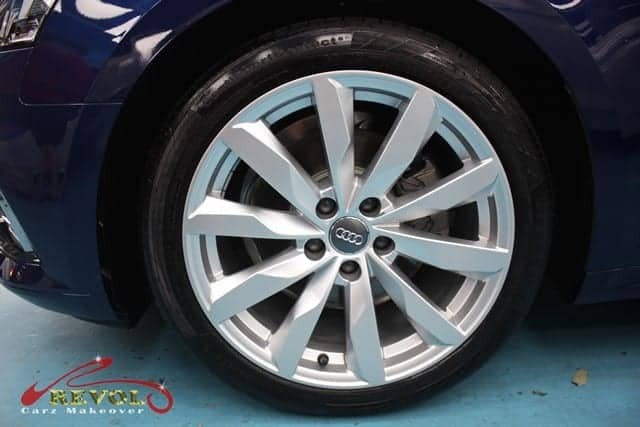 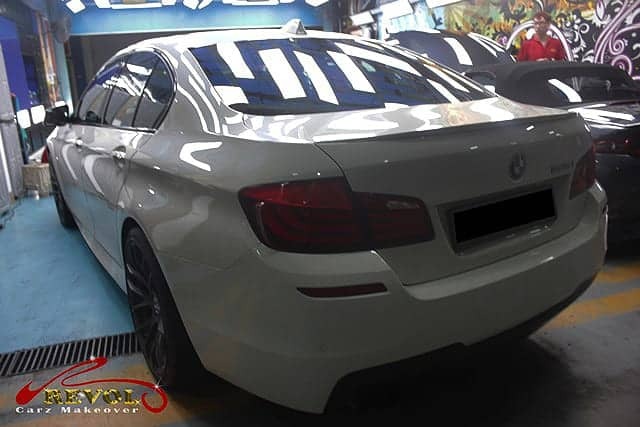 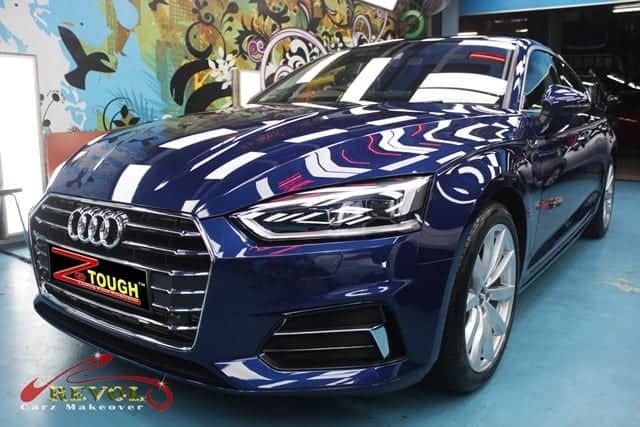 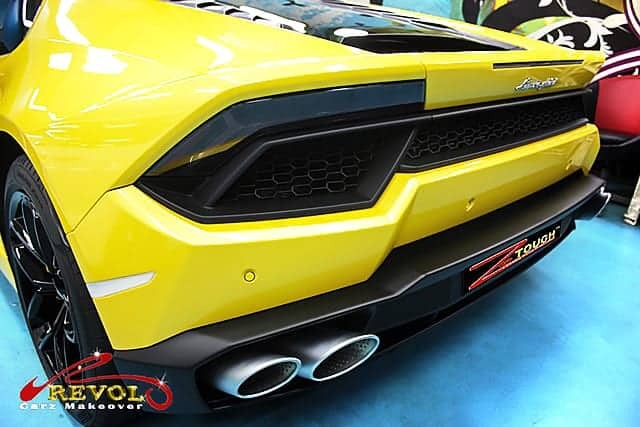 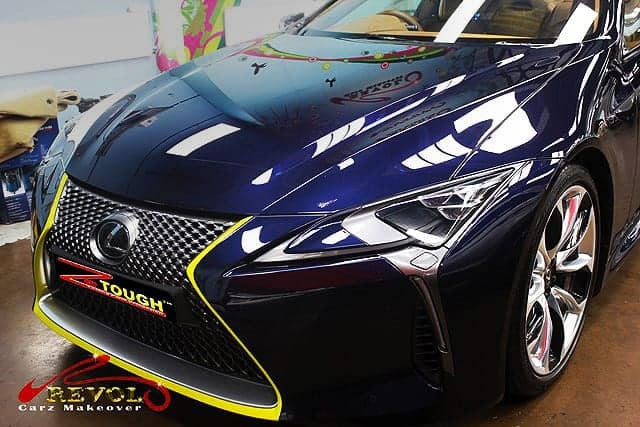 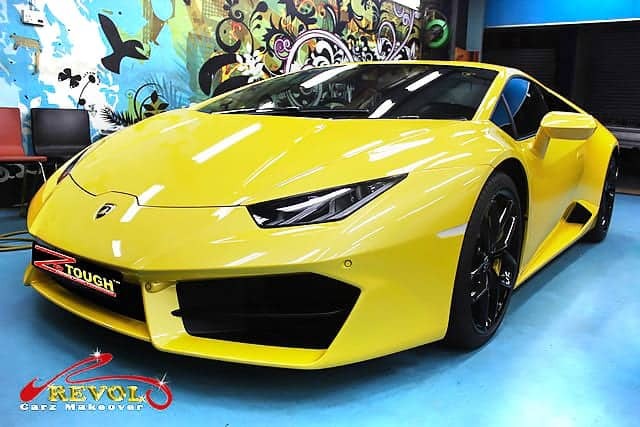 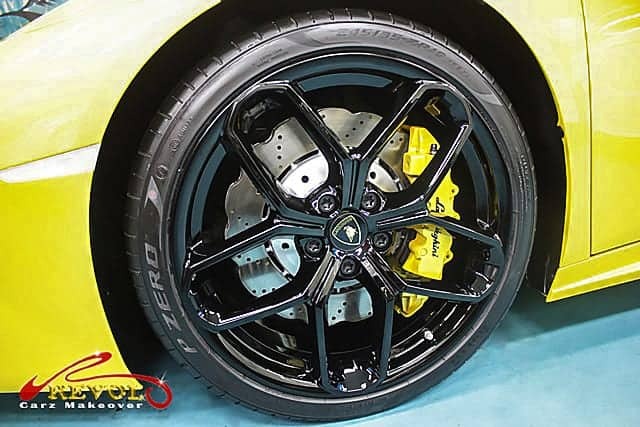 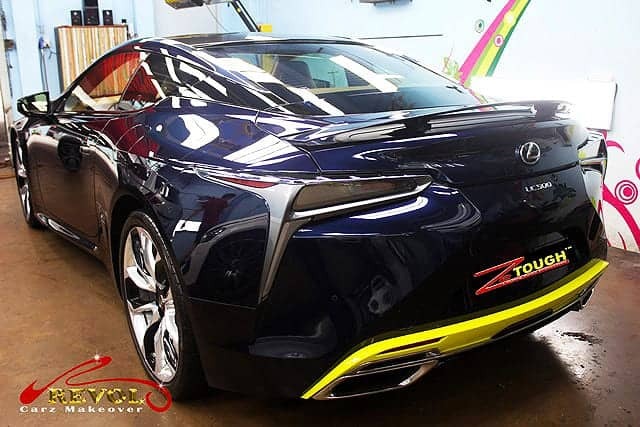 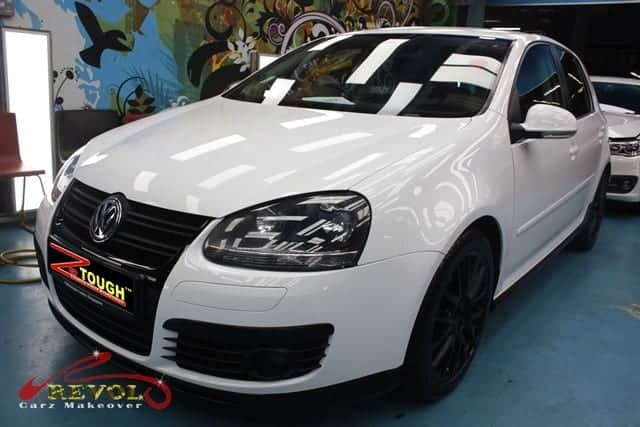 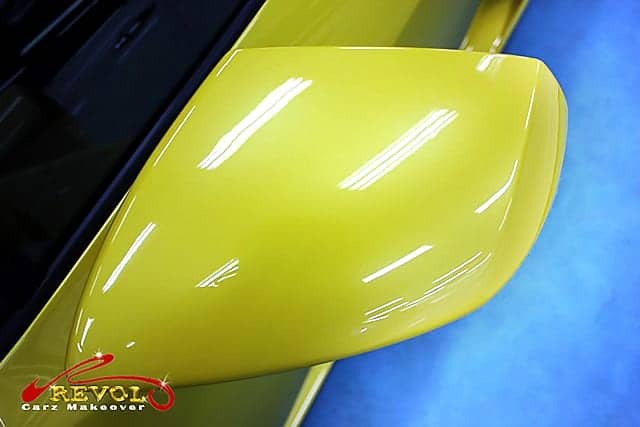 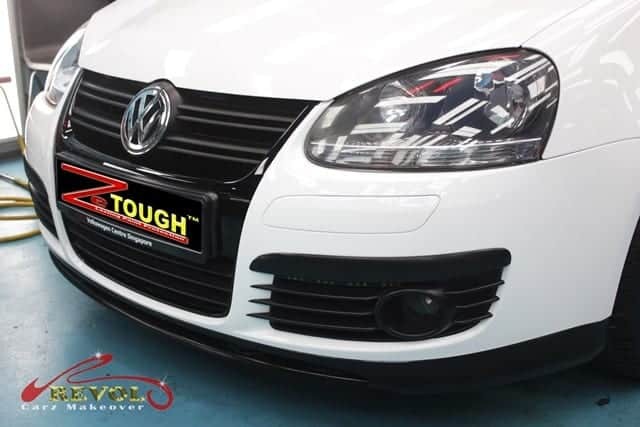 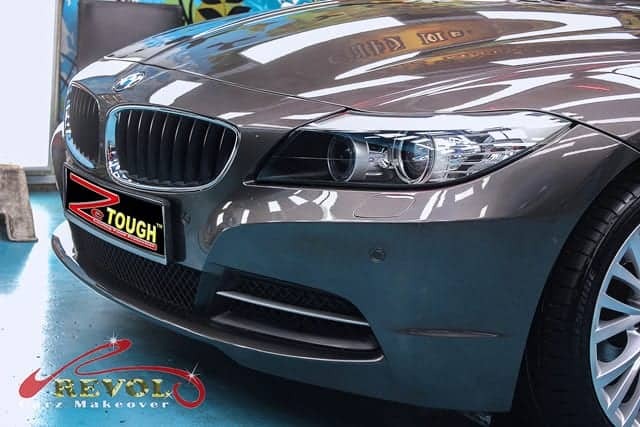 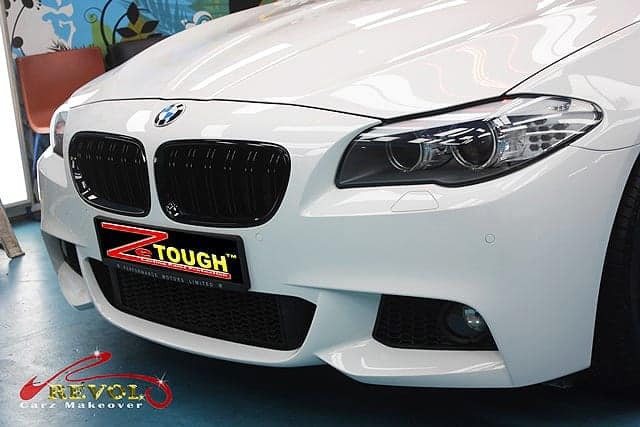 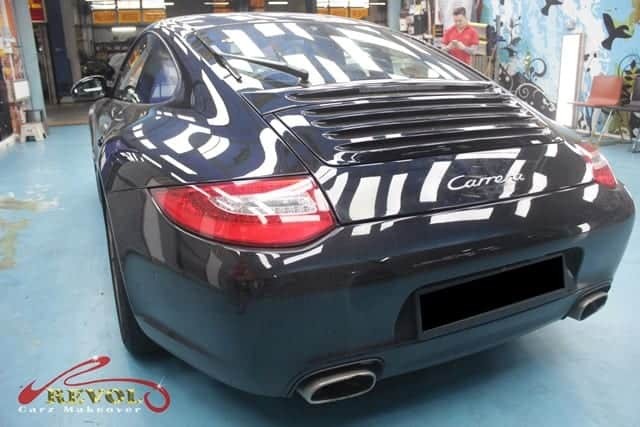 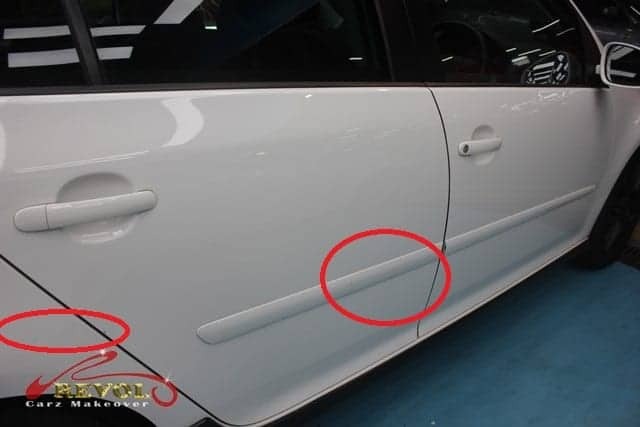 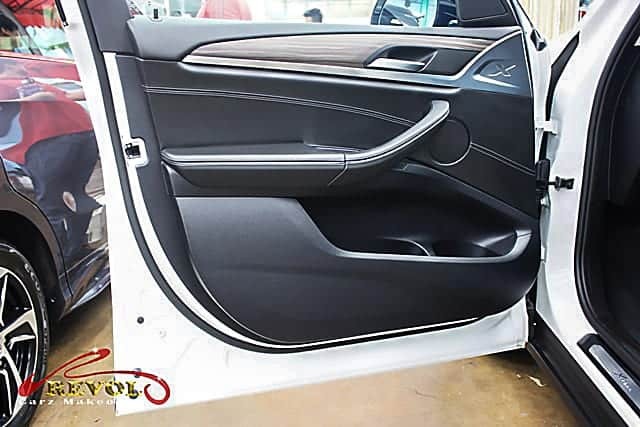 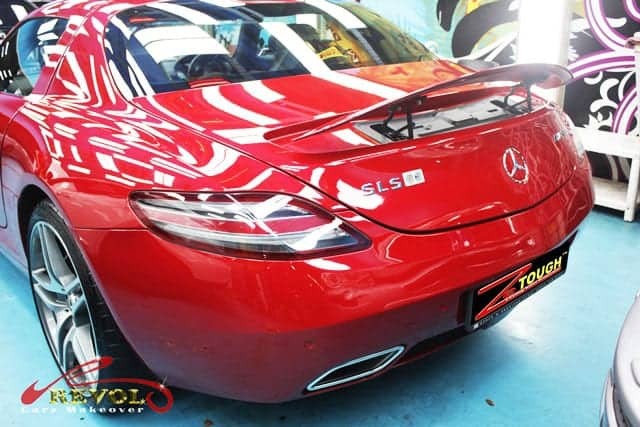 With our high standard of workmanship, coupled with the incredible performance of ZeTough Ceramic Paint Protection Coating, an extraordinary achievement is possible. 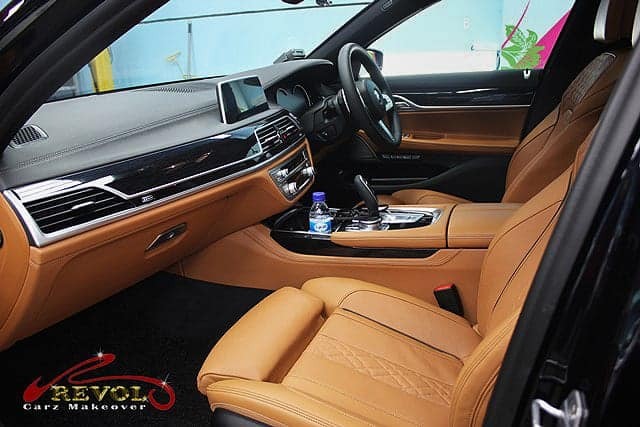 After Revol’s professional makeover, the BMW X3 exudes a head-turning, better-than-its-previous-showroom condition.